The New York State Department of Education (NYSED) today announced a professional learning webinar entitled “Creating Lesbian, Gay, Bisexual and Transgender Inclusive Schools(link is external).” Created in collaboration with the New York State Department of Health’s AIDS Institute (NYSDOH-AI), the webinar is posted on NYSED’s website for schools, school districts, parents, students, BOCES and the entire school community to support the goal of providing all students with a safe and inclusive learning environment. "Creating spaces where all individuals feel safe, respected, and supported in their educational endeavors is one of the missions of our LGBTQ+ Academy,” said Jeffrey Myers, Executive Director of the Out Alliance. “The LGBT Inclusive Schools Webinar will help teachers, staff, and administrators feel better prepared and empowered to create more inclusive environments in schools across our state. We are proud to have been part of developing this important learning tool with the New York State Education Department, New York State Center for School Health, and other committed agencies." Rowan Collins’, Education Coordinator for the Out Alliance, keynote address at the 2016 NYS Center for School Health Professional Education Seminar inspired this webinar when he told his story about coming out, and shared information on sexual and gender identity as well as responding and speaking respectfully around LGBT issues. The information in the webinar will ultimately help and inspire our LGBT youth and provide the resources and support school staff to create inclusive school environments for all students. NYSED worked closely with our New York State Center for School Health (NYSCSH), the New York State Department of Health (NYSDOH) and advocacy partners at the Empire Justice Center, among others to ensure the language and content of this webinar correctly captures the critical features of creating an LGBT inclusive school environment. Some of the topics covered include: committing to a positive school climate and culture; speaking respectfully and making respectful choices; understanding gender identity and expression and sexual orientation; perceptions and bias attitudes and behaviors; implicit bias; Gay-Straight-Alliance Clubs (GSAs); and schools taking next supportive steps. The Webinar complements existing resources available from NYSED’s Dignity for All Students Act webpage and includes information from the CDC, NYSDOH LGBT Health Bureau and advocacy organizations such as the Gay, Lesbian, Straight Education Network GLSEN and the Empire Justice Center. New York State’s Dignity for All Students Act seeks to provide the State’s public elementary and secondary school students with a safe and supportive environment free from discrimination, harassment, and bullying on school property, a school bus or at a school function. 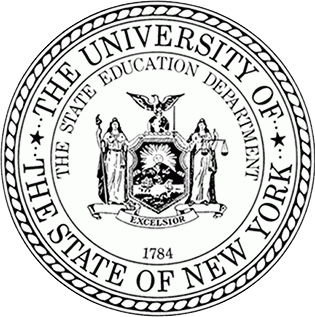 Read the release on the NYS Education Department Website here. Visit the NYSCSH Professional Learning Page to view the webinar and resources here.